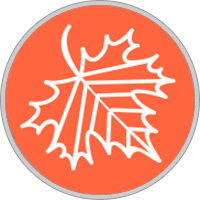 Traits of people born under Maple sign: lively personality, a sense of humour, ability for deduction, analytical mind. Compatible: Beech, Elm, Cypress & Cedar. Uncompatible: Apple, Fir, Hornbeam & Fig. Liberty and generosity are the premise for the maple-tree-born. They should be given a lot of space in early childhood years, so they can find out about their talents by their own experience. Too many restrictions or even bans let their search for greatness wither. Maple-tree-persons have to feel the liberty. Maple-tree-born are true individualists. Everything common, the masses, the conservative and constraint is sheer poison to them. They face life full of optimism, and are always looking for the unknown, the unexplored. They never experience their thoughts and their knowledge as an intellectual possibility, but they are part of it. That makes them such a genius. The weakness of the maple-tree-born is the reverse of their strength. With their distinct individualism they run the risk to become lonely, if they don’t manage to create a field of understanding for themselves. The constant search can turn them into restless and nervous people, if they didn’t manage to find an aim in life. It is very important for a Maple man to keep abreast of all scientific and technological developments and innovations. All his free time he devotes to the study of new subjects and disciplines. Such a hobby sometimes makes it detached from earthly realities. A Maple man has a lot of friends and like-minded people. It is not difficult for him to lead a person to a heart-felt conversation, to entice him with his ideas or to inspire feats. It is in the circle of friends that the man-Maple can meet his future spouse one day. It is very important that she was highly educated, able to support the intellectual conversation and develop the interests of her husband. The Maple woman is endowed with great insight, clear mind and an excellent memory. At work, she successfully uses her brilliant intellectual abilities, intuition and creative talents. Women of this type like to be in the spotlight. Admiring views and words of approval of the public are encouraging women of this type to actively express themselves and develop their talents. In love, a self-sufficient Maple woman does not always find happiness, but the desire to communicate and exchange opinions with a partner can lead to the fact that one day she becomes a happy wife and mother, which changes her life for the better. The eternal search for something new can turn maple trees into difficult partners. But people, who always add new aspects to the relationship, and don’t try to limit the space of the maple tree, will have an exciting time with a lot of fun.